Hey awesome nerds!!! 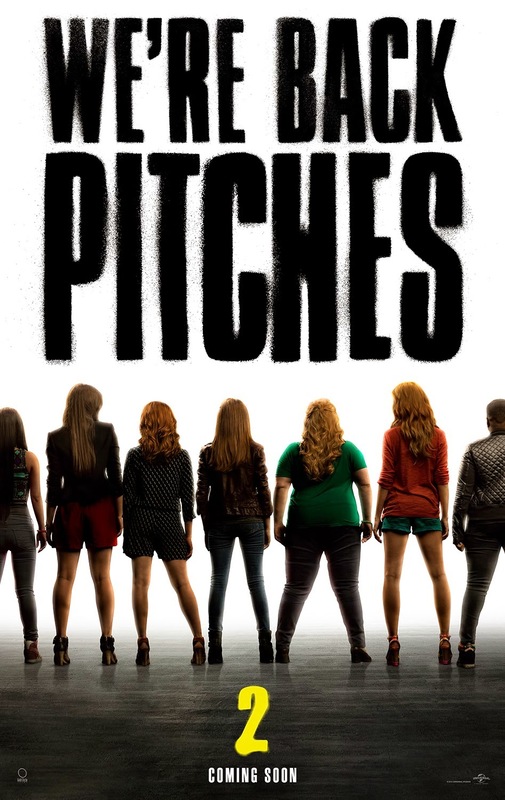 Universal pictures finally released the very first trailer for the sequel of the sleeper hit, Pitch Perfect. See the Bellas and Treblemakers as they compete for the world championship of A cappella. Watch the trailer after the jump. The Barden Bellas are back in Pitch Perfect 2, the follow-up to summer 2012’s smash hit. The comedy is helmed by Elizabeth Banks, co-star and producer of Pitch Perfect, and produced by Paul Brooks, Max Handelman and Banks. Writer Kay Cannon returns to the team to pen the next chapter. I'm so worried about this sequel because we all know that it is a hit before because the film got all the freedom to do whatever they want. Now that the franchise is already recognized globally, I'm afraid that record labels will be the one who will control the repertoire for the film and producers will start to dictate what are the things they want to show on the film. If that happens, I hope it is for the film's advantage and not just for their pockets. Coming in local cinemas on May 2015, Pitch Perfect 2 is from Universal Pictures to be distributed by Columbia Pictures.